Seaport Worldwide Sdn Bhd (Seaport Worldwide), a Member of MMC Group, is the land owner and the developer of Tanjung Bin Petrochemical & Maritime Industrial Centre (TBPMIC). Located directly opposite one of South East Asia’s major transshipment hubs i.e. 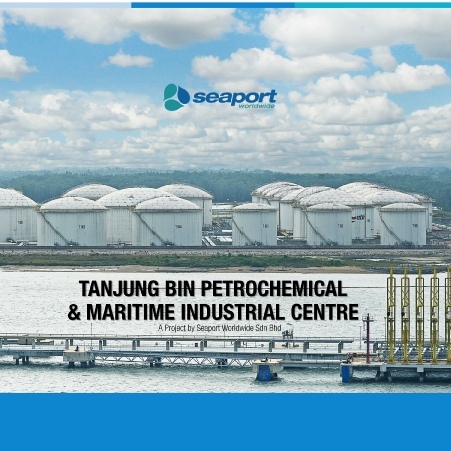 Port of Tanjung Pelepas and sprawling over a land area of approximately 2,255 acres, it offers potential investors the ultimate location for setting up their petrochemical, oil storage and maritime industrial facilities in the region. Potential investors will be provided with sizeable land parcels completed with facilities and infrastructure for oil storage and maritime industries. The development is gazetted for Free Industrial Zone and Environmental Impact Assessment (EIA) has been approved. It is approximately 45 minutes away from international shipping routes and is complemented with a 3.6 metre shoreline and a 17-metre natural draft that allows tankers to dock, terminal and jetty operation as well as other maritime industries activities.